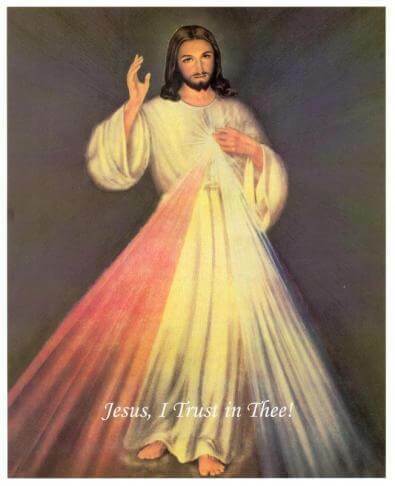 There will be devotions to the Divine Mercy in our church on Divine Mercy Sunday - 8th April, beginning at 2.30pm. The afternoon will include confessions, Mass, Divine Mercy Chaplet, the three o'clock prayer, blessing of images, exposition of the Blessed Sacrament and Benediction, followed by refreshments at 4.30pm. 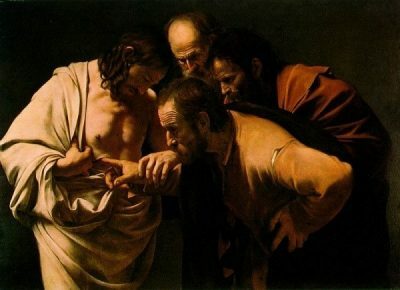 Caravaggio first came to prominence when he was commissioned by the Roman Oratory to paint the Deposition at Santa Maria in Vallicella. He was initially criticized for 'excessive naturalism', but his paintings evoke the spirit of St Philip Neri and the emphasis of the Counter-Reformation on the devotional participation of the faithful in the Gospel accounts. The incredulity of St Thomas appears almost photographic in its realism, and enables the viewer to experience the Divine Mercy radiating from the open side of the Saviour, just as St Thomas the Apostle did, just as St Faustina did.